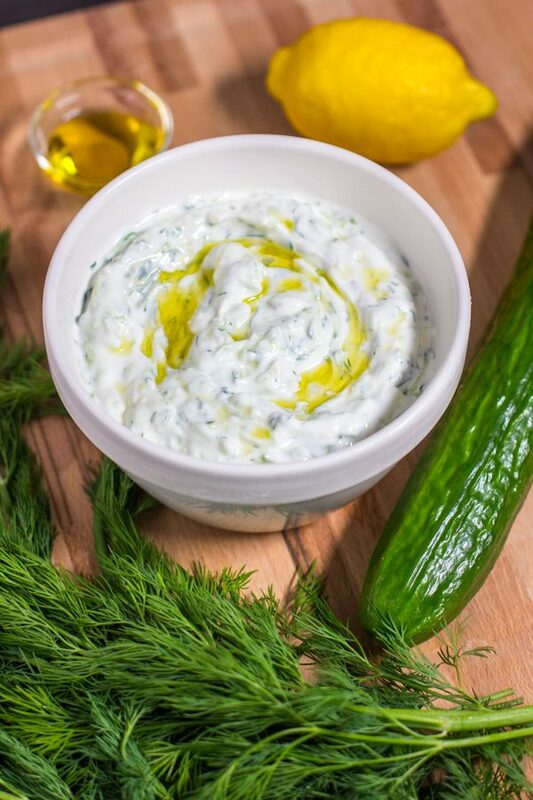 Traditionally, tzatziki is served as either a sauce or a salad. We think it’s perfect with raw and cooked veggies as well as grilled meat and fish. Try is served with chicken, beef, pork, or lamb. 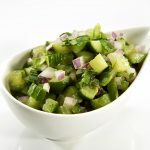 Use it as a spread in a pita, on a sandwich, on your burger or even with middle eastern dishes like falafel; the cucumber with lemon and dill is the perfect combination. 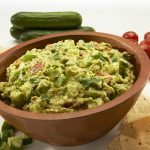 If you can’t get enough of this, try some other serving ideas too! Dollop some tzatziki on top of a fresh, baked potato instead of your usual sour cream and chive. It’s a great way to temper the steaming hot potato and add extra flavour without smothering it with less healthy accoutrements. 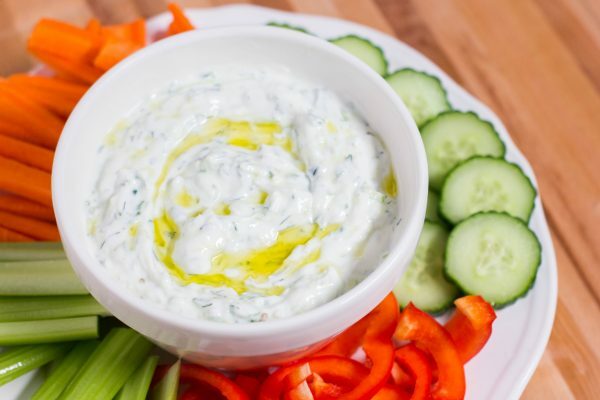 You can also use this sauce as a dip for veggies, pita, or even crackers. Thin it out with a bit of milk or water, or even regular plain yogurt to make it into a salad dressing. Half the cucumber length-wise and use a spoon to scoop out the seeds. Grate cucumber and place in a sieve. Sprinkle generously with salt and let sit in the sieve for about 10 minutes to draw out extra moisture. Squeeze out at around 3 tbsp of water, and set aside. Add Greek yogurt, garlic, lemon zest, lemon juice, dill and stir. Season salt and pepper to taste. Serve with a drizzle of olive oil. Our recipe is thick so calls for the soft seeds to be scooped out. Please note that the seeds are edible so this step is optional. 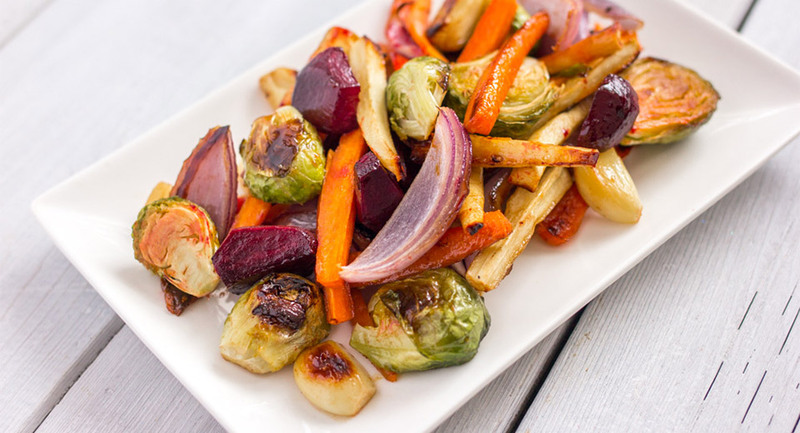 This recipe was developed thanks to our featured member, Ontario Greenhouse Vegetable Growers. 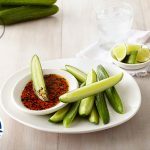 Did you know you can buy fresh Ontario grown greenhouse cucumbers 12 months a year?! [mpprecipe-recipe:341] This recipe is kindly provided by our featured member, Sunset Grown.